Every four years, the Olympic games gives us a moment of magic that we will never forget. A moment that, in the years to come, will be recalled by the millions who saw history being made. In Beijing 2008, Usain Bolt stole the show. Tonight, a nation stood in admiration as Mo Farah was able to complete a historic Olympic double by winning the 5000m final just one week after he won his first Olympic gold. 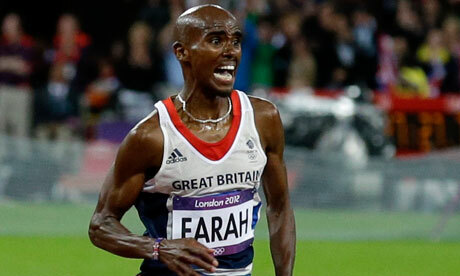 Farah had some competition to become the defining moment of London 2012. Jessica Ennis, Usain Bolt (again) and David Rudisha have all provided sterling entertainment in what has been an Olympic games to remember. Yet, Mo Farah’s victory stands above them all. In a race that began slowly, many of the spectators were biting their nails, hoping that Farah could beat the rest of the field. The 29-year-old calculated his move to the front as the lap times began to hit 60 seconds. Then, with two laps to go, the crowd went into a frenzy as Farah took the lead and did not let go. Mo Farah has become an Olympic great. The image of Farah’s gritted teeth, as he extended his lead down the home straight, was a symbol of the grit and determination that has turned a talented athlete into an Olympic great. A perfect ending in the final night of full competition at London 2012.